A powerful, iron-rich energy supplement that encourages peak performance in athletes. Potassium and magnesium help counteract electrolyte depletion. 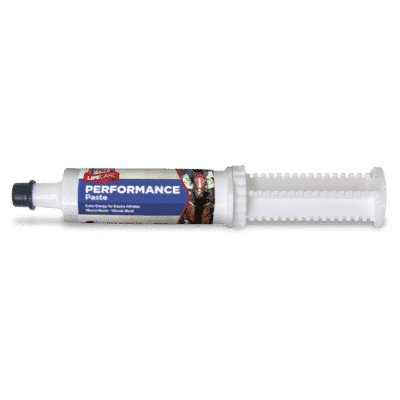 Paste is easily absorbed and fast-acting – and just the right size to keep in the tack box or glove compartment. Contains two servings per tube.